Browse our repertoire of outstanding client testimonials from happy, clean, healthy pets and their satisfied owners. 1. Zaid B We took 2 dogs for here for the grooming package. One dog is Maltese/chihuahua and the other is whatever you wanted it to be. Our lady did a great job with the cuts. We asked for a specific cut for one dog and asked her opinion for what should be done with the other. She surprised us with two fresh cuts. Both dogs were feeling themselves. 2. Dayna E Wow. This is definitely one of the best groomers I have been to. We just moved back to this area and needed a new dog groomer for our nervous little guy. Their customer service is great and they have good hours as well. You do need to book at least a week in advance as they fill up quickly. Our dog was groomed by Jo the first time and she was seriously amazing. Took great care of our dog and she was done so fast - in about 45 minutes! I gave her some notes beforehand and she did everything I asked perfectly. Our dog looked great when we picked him up. 3. Elizabeth S Scrubbers is the best! We stumbled across Scrubbers after scouring through multiple reviews. We had used another groomer for about a year and were not happy with the results. Since coming to Scrubbers we are beyond thrilled with the service we receive. Shelley is our groomer and she has taken the time to get to know our dog and is happy to see him every time we walk in. She makes us feel very comfortable leaving him. She always listens to any requests and offers suggestions to us if we have questions. We have a cocker spaniel and she doesn't force the traditional "cocker cut" on us that groomers sometimes do. We love Shelley! I've also taken my dog there after an unfortunate poop rolling incident to use the self serve stations. The staff there was so helpful as I had no idea what I was doing. I would highly recommend Scrubbers to anyone. 4. Nickie P We just adopted a dog from the shelter, and had no idea how she was going to do with grooming. Luckily, Crystal was up to the challenge! I've never owned this breed of dog before, so I wasn't quite sure what kind of grooming and maintenance was appropriate, so Crystal started off by talked me through all of that. She checked out my dog's coat and recommended an oatmeal shampoo for dryness. When I came back to pick up my dog, she was still getting dried off and I could hear what a fuss she was making! Crystal stayed calm and kept working with her. When they were done, she reported back all about how my dog did with the bathing, brushing, with other dogs, etc. And even after that whole ordeal, with a few treats, my dog was best buddies with Crystal again. 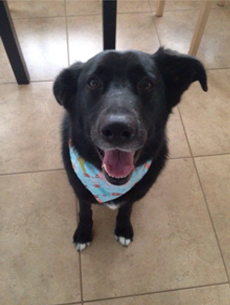 Our dog came home looking and smelling beautiful, with a cute little bandana. Days later and I am still marveling at how soft her coat is now. The cost of grooming was comparable to other places I've seen, the staff were all extremely friendly, and are really great with the dogs. 5. Rebecca T So I have 2 (big) dogs and a beautiful newly remodeled bathroom with a gorgeous tub that I don't want said dogs scratching up and making a mess of. Unfortunately, my dogs smell, so it was time to take action. Enter Scrubbers. This place is amazing! Cheaper than dropping them off at a groomer (however, if you aren't down with doing the dirty work yourself, they do offer grooming services) and a plethora of options to choose from to make sure your 4-legged friend gets the best treatment. Since I don't need to spoil my dogs that much, I opted for the 'house' shampoo. And, with my check-in on Yelp, I scored a free conditioner (and the bottle was plenty enough for both of my beasts). Everything else is provided as well, brushes, combs, towels, pads to clean their ears and some tear-free shampoo for their faces. Dryers are available for $2.50 for 15 minutes, but the last time someone used a dried on my dog, he pooped himself, so I knew better than to try again. Friendly, helpful staff, and giving both dogs a thorough washing for under $30 was a win for me. And bonus, no back pain from bending over to reach them because they have elevated wash tubs! 6. James H I have been bringing my dog here for around 2 years. Not only is the concept great, but they have excellent choices of shampoos, conditioners, deodorants, etc. The staff is always very friendly, helpful, and accommodating. The business doesn't have a 'dirty dog' smell like other self service dog washers do. It's always nice and clean. I just went to try it out, but now I'm addicted. No more doggy hair mess in my bathtub at home! 7. Sandra L This is a terrific place to bring your dog. It's so clean and the setup is perfect, especially if you have a large dog and a touchy back as I do. No lifting or bending was needed! Everyone was so friendly and very professional. I have two dogs. A 15 year old senior rescue and a 1 year old Golden Retriever who is my Wild Child lately. Our Abbey had an unfortunate meeting with a skunk. She was so afraid when we got there. She was shaking and even peed a bit. Scrubbers knew just what was needed, mixing up the special deodorizing shampoo right away, all the while talking softly to Abbey until she stopped shaking and her tail was wagging a bit. She then suggested the treatment be followed by a soothing conditioner as the deodorizing mixture was strong and had to be left on for 10 minutes. By that time Abbey was into the whole spa thing, loving the attention, the conditioner and the massage she was getting along with it, LOL. Yesterday Brooke groomed my Golden Retriever. He was so excited! Pulling and barking. Just being a brat dog. Brooke didn't bat an eye and took the leash. I have always had Goldens and have had a few really bad groomings over the years. I prefer the natural look with close trimming on the paws, a neat tail, closely trimmed ears and a general neatening elsewhere. Brooke listened and trimmed him EXACTLY as I requested. He looked beautiful! I was so pleased. We are definitely coming back! 8. Lindsay H I really can't say enough positive things about this place. The staff is wonderful. They helped me to understand the importance of different shampoos. One of my dogs has terrible allergies and they have a sensitive skin shampoo for him. I have 4 dogs and I bring them all there. They are great with assisting you if you need it during your dogs bath time. They give you pointers and help to make it the best experience for both you and your furry friends. When I tell my dogs we're going to get a bath their ears perk up! My dogs literally run to the door when we get out of the car. So, if I could give them more than 5 stars I would. This is an excellent place to take your furbabies! 9. Wendy R I took my fur babies (shih-tzu and Maltese/shih-tzu mix) to Scrubbers today and I can honestly say that I will only go there from this point forward. The staff was super friendly and listened to my needs. My dogs were a hot mess when I dropped them off (overgrown hair, desperately in need of nail trims, ear plucking, de-matting, etc.). I was a little concerned about Brownie (5 yo male). I rescued him back in September and when I tried to groom him-he wasn't having it. Siete (11 yo female), on the other hand, is pretty chill so no worries for her. When I picked them up I was almost in tears from happiness. Both dogs looked AMAZING! The best part was hearing how great and well-behaved both dogs were. Siete and Brownie were happy and so was I. I HIGHLY recommend Scrubbers to everyone! 10. Ashley H Just picked my miniature schnauzer up and I have to say, this is the best groomer experience I've ever had. I've been to several groomers over the years and feel like something is always not quite right about her haircut. Scrubber's has the schnauzer cut down pat! Their facility is so nice and clean. There are several tubs for you to wash your dog yourself. I think I'll bring her in just for baths instead of breaking my back in the bathroom tub. Setting up the appointment was easy, they provided a confirmation text and phone call the day before as a reminder, and call you just when they're finishing up to pick up your pet. They were always so friendly on the phone. I will say that I paid more for her haircut here than anywhere else, but just like anything else in life, you get what you pay for. And honestly, I dropped her off looking pretty darn mangy. I think it was a bargain considering how good she looks now. 11. 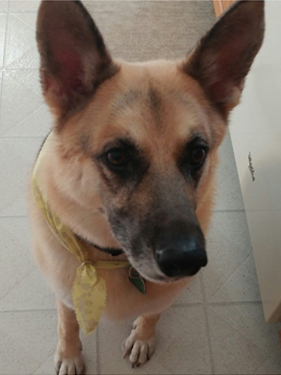 Jill D Took the beast (3yr old GSD) for a scrub, ear cleaning, and paw trim, and had the best experience. This location is far for me, but I wasn't having great luck with the local place I normally go to. Tried to get in to the Royal Oak location (which is awesome too), but it was close to the holiday, and West Bloomfield had appointments open. I would scrub the beast myself, but she's a very loud rescue dog, and a very deep barker, and barks her face off at EVERYTHING. Its no fun for anyone when I do it, but she chills out when groomers do it. She LOVES being groomed, and came out of there with her tail wagging, and her spirits high. She was there almost three hours, but she came out dry (which she rarely ever does at other places) so I could tell the groomer took her time to do it well. I have also never seen her nails and paws so pristinely groomed! The online appt request is awesome, and they respond very quickly. They sent an invitation to book during the Christmas season, so I quickly booked her next appointment. I would highly recommend, and will go back for sure. 12. Cara D I wouldn't even think about going anywhere else with my two dogs. Scrubbers does such a nice job with my basset mix that hates getting his nails trimmed, and my furry Saint Bernard. They always look and smell great when we leave, especially when my saint gets a pink bow ! My dogs get excited to come to scrubbers every time, and I appreciate all of the employees who treat us like family... even when we use 100 towels !! 13. Chicki D I am so happy that Scrubbers is in the neighborhood! I took both my dogs today for a self-serve bathing and I was so pleasantly surprised. Everything is explained in detail so you can't mess up even if you wanted to. They have steps up into the tubs for your dogs comfort, the attachment in the tub is rock solid so your dog won't be jumping out of the tub anytime soon, water temperature is set for 90 degrees so you can't burn your little puppy, the place is spotless, fresh shampoo and conditioner for each customer, special tearless face wash and ear cleaning solution right at your station. Clean towels and brushes and a dryer are all at your disposal. If you don't want to wash your dog yourself or you have special grooming needs, they will do the grooming and I can attest to Nikki's (the owner's) talents as a groomer. My Miniature Schnauzer comes out looking like a champion when Nikki grooms her. No more 8 hours in a cage either. They are doing their best to schedule so dogs have the least amount of crate time as possible. All in all, I welcome Scrubbers to the area and look forward to lots more baths and happy puppies!! 14. Kristie B Stopped in to wash our Great Dane puppy now that he's outgrown the laundry tub, and it's too cold outside for the hose. Overall EXCELLENT experience. Everyone was super friendly and helpful. Especially trying to control an excited puppy, they were very supportive and were able to provide advice and recommendations. They provided all of the products, including special shampoo, conditioner, tear-free shampoo for the face, ear wash and mouth wash. They provided an apron for me, and all of the towels, and offered a blow drying station as well. We tried the blow drier since it was freezing outside (+$2.50) and they gave me some ear muffs since the puppy was scared of the noise. It worked perfectly! He calmed right down with the ear muffs. Staff was super helpful all the way through. And very inexpensive to not have to do any clean up or keep any supplies on hand. I will definitely be using this all winter! Total was $16. 15. Jiao X I'm so happy scrubbers open this new location in the neighborhood! I have been bringing my dog to scrubbers in royal oak for three year. And always happy about every visit! The new location is very clean and shampoo clean my dog well without hurting his skin. Staffs are all very friendly! I have recommended this place to my friends and will continue doing it!